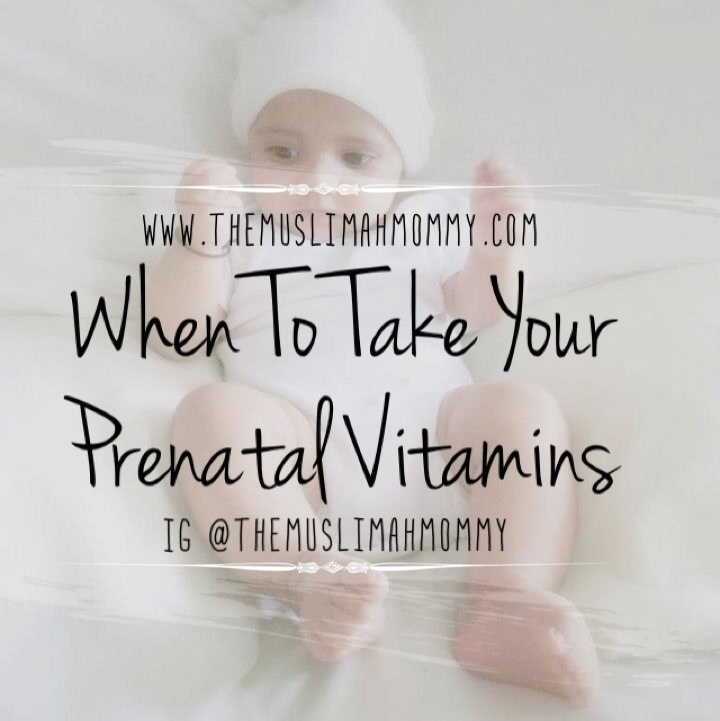 Most women start their intake of prenatal vitamins as soon as they get pregnant, however it is much more effective to start these vitamins prior to pregnancy. In fact, women should start taking their prenatal vitamins 6 months prior to conception (or, as soon as you decide you want to get pregnant). The reasoning behind this is because most women will experience some degree of morning sickness, and may not be able to consume any food, and even throw up the prenatal vitamins – like I did! In my case, my morning sickness was so bad I could not even keep down a sip of water, much less a prenatal vitamin! Therefore, it is a good idea to have the nutrients of prenatal vitamins in your body prior to pregnancy.